A seasoned and well-rounded real estate professional, Ady Laitano has been in the market for the last 12 years. 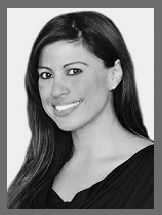 She was born and raised in Miami and specializes in selling luxury homes and condos to affluent local and international buyers in Fisher Island, Brickell, Coconut Grove, Downtown, and Miami Beach. When she is not working Ady enjoys spending time with her family, traveling, reading and enjoying our Magic City, Miami!